There are many options and reasons for refinancing your mortgage. Perhaps you are looking to pull cash out to pay off debts. Maybe you want to lower your rate and payment. 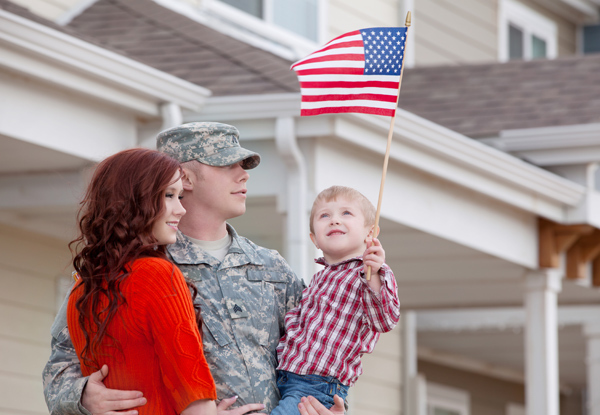 VA Refinance Loans are an excellent choice for any of your refinance needs. There are two types of VA Refinance Loans. There is the traditional refinance option, which is a conversion from a non-VA loan to a VA loan. And then, there is the VA-to-VA streamline refinance, or VA Interest Rate Reduction Refinance Loan (IRRRL). In addition, there are minimum standards for qualifying for this type of loan. For one, you must have a credit score of 620 or higher. If you are above 640 you will be able to secure a much better VA Mortgage Rate. If you have had a bankruptcy, you must wait for 2 years after the discharge of the bankruptcy before you can qualify for VA Refinance Loans. In addition, you must be employed, and have acceptable “debt-to-income” ratios, or the ratio of your total monthly debts compared to your total gross income (before taxes). VA Refinance Loans will carry a full VA funding fee, which can be as high as 3.3% of your loan amount (i.e., if your new loan is $100,000, the fee would be $3300), but if you borrow less than 95% of your appraised value, the fee is much lower. It will also be lower if this is your first use of your VA Loan benefits. The VA funding fee is typically “financed” into the new loan, meaning you do not have to come up with the money at closing. The VA-to-VA streamline refinance, or VA IRRRL loan, is the other choice, and is an incredible option. You cannot pull out extra cash on the VA IRRRL, but you can lower your rate and payment significantly, many times without any closing costs. The VA funding fee is only .5% on a VA IRRRL, making this an extremely affordable option. You can also skip a monthly mortgage payment! To explore your options, give us a call at 337-480-4122. We will give you straight answers and honest advice. If a VA Refinance doesn’t make sense, we will tell you that. Your long-term business is more important to us than trying to “sell” you on a loan program. Your service means the world to us, and we would be honored to serve you.